Yesterday we came to celebrate death. Today we have come to celebrate life; life beyond death; life beyond the grave. They left 42 years ago Vietnam. But Vietnam never left them. The horror, violence of those days walked their days and haunted their nights, until they decided to go back to Vietnam. So six of them went back to the old battlefields with new purpose. They spent 10 days scouring the fields for mines they had planted to protect American lives, which killed thousands of innocent farmers. When they came back, their tombs were empty. The tombs they had sealed and kept with the stinking experiences of the past were now freed and there was fresh air. 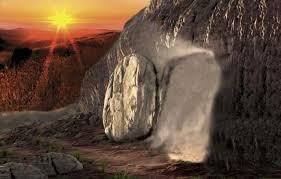 Empty tomb is the mystery of the Resurrection and the centre of our faith. Resurrection is possible only, i.e. new life, by emptying the old tomb. Then comes the second component: The good news does not get to the heart until it gets to the feet. A series of foot races. Mary, Peter, John. Like the marines who went to Vietnam. Therefore to rise with Christ means raise others to Christ. That's what Acts of the Apostles is all about. It is "Acts". If the first was an interior journey, the second is an exterior journey; if one was personal, the other was communal. The Gospels do not explain the Resurrection. But the resurrection explains the gospels - J.S. Whale. Why was I here and not there? Why am I held in His care? Why don't I collect my share? Why, again I've slipped the snare! If I, limping, steady you, our step is surer. If I, weeping, comfort you, our loss decreases. If I, failing, strengthen you, our weakness conquers. If I, dying, rescue you, our life has meaning. Why, have you called us to new life in you? The gospels all tell us that Jesus rose from the dead. They give us, however, two different accounts of this central moment of his life. – In St Mark 9:19, St Luke (gospel and Acts of the Apostles), and St John, the apparitions of Jesus after his resurrection take place in Jerusalem. This was the place where he had recently been crucified and put to death.- In St Matthew and in this section of St Mark, Jesus is said to return to Galilee after his death. It is there that the later apparitions take place. Each of the two accounts has its own greatness and richness. In our meditation then, we should concentrate on the text before us; for the time being we ignore the other accounts, even though we may be more familiar with them. St Mark tells his story from the perspective of the women who went to the tomb. We naturally follow them and interpret the story from their point of view. This also happens to be ours at certain moments in our lives. We can also read it from another point of view – from the perspective of the disciples who, in contrast to the women, remained indoors. They happened to be there at this time and they received the good news about the risen Jesus from the women who spoke from their experience. not expect them to give rise to a fresh beginning. The text gives us three expressions symbolizing new life: “very early in the morning”, “on the first day of the week, they went to the tomb”, “and the sun was rising.” All three remind us that the day of great darkness mentioned in St Mark’s gospel did not last “forever”. The events on this morning, very early the next day, brought a new dawn. It was truly a time of new light. Verses 3 and 4. The stone in front of the tomb is symbolic. It symbolizes the many obstacles which we know can lie between us here and now and the working out of the new story of grace. – God himself is often experienced as someone who distracts us from giving ourselves fully to others. We think for example of people we feel naturally attached to – a spouse, children, friends, fellow-workers, people who share in our political platform. We react to them as if our being close to God means that we should love them less. – the reality of the risen Jesus; he is now totally free of what limits us to the here and now. Verse 7. This text gives us the striking commission given to the women. It tells us to remember that we need to go back to the place where we started our great adventure. After the loss of some glorious person, we need to return to that place. When we go back to our first search, we will truly understand the significance of the seemingly dead Jesus who has risen again. – people in the Middle East and in Northern Ireland who continue to work for peace. continued to mourn for what they had lost. when a new day had dawned and the sun had started rising again. the good news that it was the first day of a new beginning. – unemployment had us totally discouraged. – whether our health would stand up to work. and the stone was quite irrelevant to their situation. Thank you, Lord. – we resent getting old or sickly. we must not look for Jesus in a tomb, because he has risen, he is not there. and it is there that we will see him, just as he told us. – the Middle East, Northern Ireland, the Basque Country, Sudan. Where they will find life, just as you told them. Frightened out of our wits. for a long time we can say nothing to a soul. This vigil is the centre of the liturgical year. The fact that it is peripheral to many normally active in the liturgy indicates how little the renewal of theology and liturgy begun in the 1960s has sunk into our consciousness. The Missal describes it as ‘the mother of all vigils’ (n 20, p. 202) and sees the readings as its core: ‘it must always be borne in mind that the reading of the word of God is the fundamental element of the Easter Vigil’ (n 21). In practice, it is almost the exact reverse. The readings get squeezed (almost squeezed out) between the opening drama of the paschal fire, and the excitement of the baptism liturgy. The assumption of the liturgy is that all nine readings are used: they are not offered as options from which to make a selection. An individual community can reduce the number ‘for special reasons’ (Lectionary, vol 1, p. 399) to five; and ‘more serious reasons’ are needed if only four are used (Missal, n 21). However, if the reason for dropping any reading is the time factor, then the question must be asked as to why bother with the vigil at all? If any of the readings are dropped, then the purpose of the whole sequence becomes invisible: the idea is that there is a long sequence of texts and that we ’listen … to the word of God, recalling how he saved his people throughout history, and in the fullness of time sent his Son to be our Redeemer’ (Missal). The notion of a long sequence of steps, ‘again and again you offered covenant to us,’ cannot be conveyed with just two or three readings as that number is simply not large enough to give a sense of God’s continual steadfast love. Given that people have come out specially and on this night are more closely attuned to the liturgy than usual, it is worth taking the extra time (it takes 10-15 minutes max.) to read all nine passages. Doing this well, with a variety of readers, and styles of music for the psalms, can let the vigil’s message sink home better that any homily. Unlike Christmas Midnight Mass, after almost fifty years this vigil has failed to capture the Christian imagination. Indeed, the introduction of the Saturday vigil Mass has often meant that this night has just become an ordinary vigil Mass with ‘bits’ tacked on. The liturgy tonight uses four great signs in succession (fire, word, water, and food) to convey the message that we have been remade as a people through the resurrection. Fire breaks out in darkness – so it useless to begin before nightfall – and becomes ‘our light our joy.’ The great candle is the beacon of the risen Christ. ‘Unless one is born of water and the Spirit, he cannot enter the kingdom of God’ (Jn 3:5); we rise in Christ through being buried with him in baptism (Col 2:12) so water and baptisms are central to this night. This is the ideal time for the community to welcome new members and, in doing so, to remember that we are there because we are the baptised. Lastly, there is the Lord’s banquet. We encounter the Lord in food and we thank the Father through a food ritual. Christ our Passover has been sacrificed and, therefore, we now celebrate the feast (cf 1 Cor 5:7f) and ‘the cup of blessing which we bless is … a participation in the blood of Christ, the bread we break is … a participation in the body of Christ’ — we are made into a new people through this sharing (1 Cor 10:16f). Giving real ritual significance – the opposite of tokenism – to the various parts of this liturgy may be the key to establishing this as ‘the night’ with all its associations, as listed in the Exultet. In the original form of Mark, this passage (with v. 8 which has been omitted as jarring with the liturgy’s theme of surprise-joy while Mark has surprise-fear) was the gospel’s concluding scene and the sole reference to the risen Jesus. Its force is that a sealed tomb has been opened, a tomb that should contain someone waiting for the resurrection at the end is already empty. Mark’s stark ending has troubled readers down the centuries — hence the addition of other endings such as the one commonly found in our editions (vv. 9-20) — but it is the dramatic riposte to the long passion narrative. All that intrigue and wickedness to inflict death, destroy Jesus, his message, and his movement has ended in failure: only hours later the tomb is empty, his promises are being fulfilled. If we have a look around the Church we notice colour, nature, ions, water and oil. We hear joyful music and uplifting prayer. This is our Easter – our celebration. The next bit of Easter is to go and tell. Like he appeared in an ordinary garden.he appeared to unexpected ones, the women. Who would of thought he would do that? He would still do the same! The divine Jesus also looks ordinary. They take a while to recognise it is the same Jesus, the one they knew and loved. We sometimes meet people who got a promotion (or something big happened to them) and deep down thy are still the same person. Jesus was new but then they realised that for now and forever he would still be the same, finding us and loving us in the ordinary, on our good days and bad days, in goodness and weakness. On our bad days he can bring out the best out in us. Like his bad days brought out the best in him. When we can say little he sings Alleluia in us. He is doing us a world of good in us so that we can do the world a world of good. as your breath fills your body. Risen Jesus, be joyful in me, in all. We have three commentators available from whom you may wish to choose . Click on the name of the commentator required. 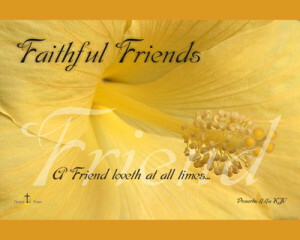 Lord we thank you for people of faith. as they entered his tomb. but in fact kept your chosen ones in the tomb. when the world imprisons them in a tomb. rise again from the tomb. Now we see them on the ground and also the cloth that had been over his headnot with the linen cloths but rolled up in a place by itself. 1. The resurrection is the source of Christian hope: our lives are not circumscribed by life as we know it now, but can open onto a new life in the presence of God. This is the mystery beyond words, yet somehow today it has to be the subject of our preaching. However, there are two widely held misconceptions which prevent people hearing what the liturgy says about the resurrection today in its symbols, prayers, and readings. A useful task in the homily is to draw attention to these mistaken ideas. The first is that it was some sort of resuscitation, a trick to prove that Jesus was right, an event which you either believe happened or did not happen back then. This misconception distracts from a hope in our resurrection in the future. The resurrection is not about resuscitation, but our future transformation. The second, and far more widespread notion, is that resurrection is just a fancy terms for a belief in an afterlife of some sort or other — the number of practising Christians who think that re-incarnation can be squared with Christian faith is an indication of this confusion’s prevalence. Our faith is not about some kind of postmortem survival, but in God’s gift of the fullness of life. 2. So, the first point is to avoid ‘explaining ‘ the mystery as if it were a series of ‘facts’ that can just be acknowledged as having happened so-and-so many years ago. In earlier times each item in the resurrection accounts was studied like the clues in a detective story with the aim of building an apologetic that would explain the ‘how’ of the resurrection and the ‘what’ of the risen body of Jesus. But the kerygma of the resurrection lies not in the details of ‘the first Easter,’ but in the reality that those who join their lives with the Christ shall share a fuller, glorious, transformed life as the gift of the Father. We can inherit the Father’s gift of glory as the final fulfilment of human life. It is worth pointing out that the disciple today must not be distracted by the ‘how’ and ‘what’ questions of ‘the first Easter’ from remembering that Christian faith strains onward to the future: the cost of discipleship now and tomorrow is worth it for the path of righteousness does not end with a grave. Many wonder whether or not they ‘can believe’ in the empty tomb, but this misses the point. Belief in the resurrection is seen when someone, even in the face of death, still follows the path of love with the confidence that the Father will ‘not abandon my soul to Hades, nor let his Holy One see corruption’ (Acts 2:27 [Ps 16:10]). 3. Second, belief in the resurrection is not some christianised version of a belief in the immortality of the soul. 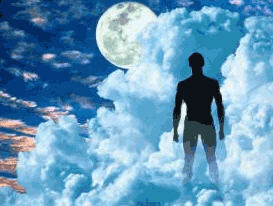 A belief in immortality is a human sense that a bit, some sort of spiritual residue, can survive without a body. The belief in the resurrection is that we are each creatures willed by God, in whose histories God is interested as the loving Father, and into whose history he has sent his Son sharing our humanity, and therefore whose whole existence ‘spirit, soul, and body’ can be transformed to become part of his Son’s glorious body. Easter is not a celebration of a ‘survival factor’ in humanity, but of the Father’s love so that nothing good shall perish, but be given even fuller life. 5. When we profess our faith in the resurrection of Jesus we are not setting out something with the intention that our understandings should grasp it and comprehend it. Jesus has been transformed to a new kind of existence by the Father beyond our understanding and we can only express it in symbols such as that of the empty tomb — tombs, after all, are designed to hold their remains indefinitely. By contrast, the proclamation Jesus is Risen’ is an invitation to share in a new way of seeing God and the universe, and it is only from within this new vision (faith) that it makes sense. Hence, the ancient theological dictum, based in Isaiah 7:9, ‘unless you believe, you will not understand.’ The message of Acts and the gospel is that we are invited to live, to live in a new way, to live in Christ — and that in living in this way we discover in the midst of suffering and death that the Father will raise us as he raised the Christ. 7. The thought of resurrection may fill us with joy, but the life-demands that accepting it makes on us can be great: we must do as we would be done to (cf Didache 1:2; Mt 7:12; Lk 6:31), we must practice the forgiveness we desire from the Father (cf the ‘Our Father’), and we must act with gentleness. Only in constant effort to live life in this way can we glimpse the truth of the empty tomb. 8. To live this life demands patience, a waiting for the good things to be revealed — the practice of the virtue of hope: we must always be of good courage … for we walk by faith, not by sight (cf 2 Cor 5:6f). Today is our day for rejoicing in the risen Christ, for thanking the Father for his love, and for reminding ourselves of that to which we have committed ourselves: The Way. Death has contended with Life, yet despite tombs and symbols of death all around us, we proceed to commit ourselves to life, confident that as the Father transformed the existence of Jesus, so he will transform the whole creation. The first reading from the Acts, is part of an early sermon of St. Peter on the feast of Pentecost, his very first after the resurrection. He tells us how he is a witness of the life, death and resurrection of Jesus. Without the resurrection Jesus’ life and ours would be a total failure, with the resurrection every moment of His ministry has new meaning and every moment of our own can take on new significance. Peter in this sermon reminds his listeners that Jesus is Lord of all and that his message is a message of hope and peace. He emphasizes that every believer is called to be a witness of the Lord’s life, death and resurrection. We are called to be witnesses of the resurrection, but the glory of the resurrection is realized in us only when we have accepted the many crosses that come our way leading us to new life. A story is told of an Eastern village that, through the centuries, was known for its exquisite pottery. Especially striking were its urns; high as tables, wide as chairs, they were admired around the globe for their strong form and delicate beauty. Legend has it that when each urn was apparently finished, there was one final step. The artist broke it – and then put it back together with gold filigree. An ordinary urn was then transformed into a priceless work of art. What seemed finished wasn't, until it was broken. The Gospel begins with Mary Magdalene coming to the tomb to anoint the body of Jesus. She knows the stone has to be rolled away, and she also knows that she cannot do it by herself. Maybe she believes that the Lord will provide and he will take care of it all - and he does! “She saw that the stone had been removed from the tomb.” Maybe Mary’s attitude should be a great encouragement for us all. We can’t remove the boulder that blocks us and prevents us from bursting forth into new life. But the Lord is there and He will do it for us! She saw but she did not believe. 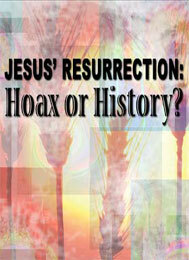 The Apostles would not accept the conclusion, so obvious to us, that Jesus must have risen from the dead. 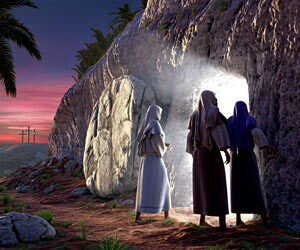 Peter and John did not believe but ran to the tomb to check out for themselves and remained baffled in their unbelief. 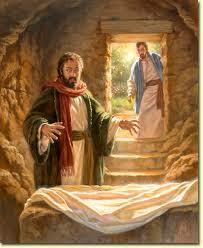 Finally they both went into the tomb, they began to understand the scriptures, they saw and they believed. The Gospel tells us that Mary stood outside the tomb, weeping and looking into the tomb to see, not the risen Jesus but where they had laid his body. She was looking for Jesus in the wrong place, looking for the risen among the dead! She sees Jesus but still does not recognize him. This narrative of the resurrection reminds us that left on our own we look for the Lord in the wrong places, among the dead rather than among the living. But the good news is that the Lord does not give up on us. He will reveal himself to us and call us by name so that like Mary we can say: “I have seen the Lord!” and once we have seen him and experienced the power of the resurrection nothing will ever be the same again. In the darkest days of Stalinist Russia a special League of the Godless was established to stamp out the last vestiges of religion from peoples’ lives. One Easter morning the Commissar of this League addressed a huge rally in Moscow’s Red Square. He ranted along his usual lines that religion was the instrument of the bourgeoisie and the opium of the proletariat. At the end of his harangue he generously offered the mike to anyone who wished to debate with him. Nobody wanted a one-way ticket to Siberia until one old man made his way forward. He surveyed his huge audience, cleared his throat and began to sing: “The Lord has risen.” It was the traditional Orthodox Easter greeting. Moved by the old man’s courage, voices from the square swelled up in reply: “He has truly risen.” Religion in Russia was not dead as long as belief in the resurrection of Christ was not dead in people. Easter celebrations lead us to an empty tomb! The coffin of President Abraham Lincoln has been opened twice since his death. The first time it was opened in 1887, twenty years after his death. Why was it opened? Because of the rumour that the coffin did not contain Lincoln’s body. It was opened and the body in it was proven to be Lincoln’s. Fourteen years later, the same rumours circulated again. Again the coffin was opened and again the body was proved to be Abraham Lincoln’s. Similar rumours circulated about the body of Jesus after his death. The only difference was that Jesus’ body was not in the tomb. Now the rumours concerned about what happened to Jesus’ body. Today’s gospel does not present us with the risen Christ. Instead it presents us with the empty tomb! The angel asks: “Why are you looking for the living among the dead?” Unfortunately, we humans are still looking for the living among the dead. Lord of Life Dr. Jayant Patel, an Indo-American was dubbed ‘doctor of death’ because he faced charges of manslaughter in over 800 cases in the USA and Australia. Dr. Patel allegedly lied about his medical qualifications and performed operations causing innumerable deaths. Similarly, Dr. Amit Kumar performed illegal kidney operations on about 500 poor unsuspecting victims and sold their kidneys to rich recipients from the West. History abounds with such ‘doctors of death’ besides leaders like Hitler and the so-called ‘butcher of the Balkans’ Slobodan Milosevic. Besides these killers, we too consciously or unconsciously – promote death rather than life. Conversely, Easter exhorts everyone to celebrate the Lord of Life and defy death. The Fourth Wise Man is a movie made for television and based on Henry Van Dyke’s 1895 classic. It begins like a Christmas story but ends as an Easter story. Martin Sheen stars as the fourth wise man, Artaban, who was late for the journey the three wise men made it to Bethlehem because he stopped along the way to help someone in trouble. For the next 33 years, he tries to find the promised Messiah, only to miss him at every turn because he is constantly getting sidetracked to help people. In his last efforts to find Jesus, Artaban arrives late one more time at the crucifixion. Jesus has just died on the cross. At that moment the earthquake occurs and Artaban is struck by a falling tile. As he lies there dying he is broken-hearted because his quest to find the Messiah was never realized. Suddenly, the Risen Lord appears to him. Jesus tells him that for the past 33 years he had, in fact, been found by the fourth wise man in the person of all the people this wise man had helped. Whatever Artaban had done to the least of the Lord’s people, that he had done to Jesus himself. This Easter story is retold in another form in today’s gospel. Instead of three wise men seeking the Lord, with the fourth wise man coming along late, we have three women coming to the tomb, seeking the Lord who has been crucified. People themselves can be the most effective of all sermon illustrations. All of us can point to people who are and have been lights in the surrounding darkness. One such person was Dr. Brackett. He practiced in a small town in America. He was known as the poor man’s friend because of the hours he spent sitting by the bedsides of the less privileged members of the community and the fact that he never took a fee from them. He lived in two rooms over a shop in the middle of town. At the ground entrance was a brass plate which read: DOC. BRACKETT – OFFICE UPSTAIRS. At one time in his life he was to have married but the day of the wedding he was called to a poor Mexican family to assist with a difficult childbirth. He stayed with the mother until her child was delivered safe and well. He returned to find that his fiancée had called off the wedding and would have nothing more to do with him. The remainder of his life was one of selfless dedication to the sick, the poor, the old, and the lonely. When he died his funeral was the biggest ever seen. Then the townspeople came together to discuss ways and means of perpetuating his memory in town. Various proposals and suggestions were made but as often happens in situations like this nothing was done by anyone except the Mexican couple whose child he delivered on what should have been his wedding day. On the way home from the meeting they removed the sign from his door and the following day it reappeared over his grave surrounded by flowers. It read: DOC. BRACKETT – OFFICE UPSTAIRS. You probably do not remember the name Nikolai Ivanovich Bukharin. During his day he was as powerful a man as there was on earth. A Russian Communist leader he took part in the Bolshevik Revolution 1917, was editor of the Soviet newspaper Pravda (which by the way means truth), and was a full member of the Politburo. His works on economics and political science are still read today. There is a story told about a journey he took from Moscow to Kiev in 1930 to address a huge assembly on the subject of atheism. Addressing the crowd he aimed his heavy artillery at Christianity hurling insult, argument, and proof against it. An hour later he was finished. He looked out at what seemed to be the smoldering ashes of men's faith. "Are there any questions?" Bukharin demanded. Deafening silence filled the auditorium but then one man approached the platform and mounted the lectern standing near the communist leader. He surveyed the crowd first to the left then to the right. Finally he shouted the ancient greeting known well in the Russian Orthodox Church: "CHRIST IS RISEN!" En masse the crowd arose as one man and the response came crashing like the sound of thunder: "HE IS RISEN INDEED!" I say to you this morning: CHRIST IS RISEN! (congregational response should be: HE IS RISEN INDEED!). I am convinced! 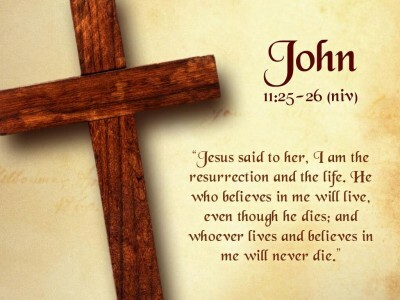 I have faith that Christ was dead and he was buried. That I believe. But, this too I accept as true: He rose from the dead and will come again in glory. This is Easter. And to stand here on this day in this pulpit and proclaim this word. . . I cannot begin to tell you how this defines all that I am. He has Risen from the Dead, Hallelujah! 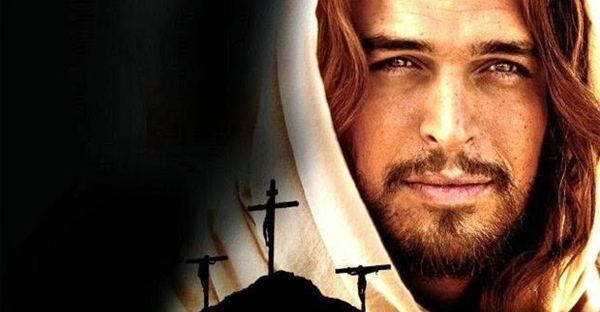 If I were to change the end of that last statement by only two letters, a "th" for a "s" so it would be "I know that my Redeemer liveth," you have immediately thought of a song, perhaps the most famous Easter song of all time. What is it? . . . . Handel's "Messiah." We may know nothing about George Frederic Handel, but we know the "Messiah" (1741). Oh, we may know that next door to where Handel lived and composed for 36 years almost three centuries ago, a more recent musician called home. George Frederic Handel lived at No.25 Brook Street, Mayfair, London (from 1723 to 1749). His neighbor to the left, at No.23 Brook Street? Jimi Hendrix. Oh, we may be aware that most of the pieces Handel composed expressly for Christian worship no choir ever sings and no congregation ever hears. But we know the "Messiah." In the Victorian era, "Messiahs" performed at Hyde Park, London's Crystal Palace at its three yearly Handel Festivals had 3000 performers and tens of thousands in the audience. As the English music historian (Charles Burney) wrote even earlier of Handel's majestic "Messiah:" "It has fed the hungry, clothed the naked, fostered the orphan, and enriched succeeding managers off the oratorios, more than any single production in this or any other country." Some say it is the best known choral work in Western music. This expert of a poem by Tomas Transtromer brings to mind the challenges of Holy Week and the reflections of our Lenten journey. We look out into the world and we are tested, we are pushed, we are brought to reflect on our own isolation, our own limitations and our own temptations. But the message of Easter is to fear not! We do not have to fear that the storm will blow us empty because we are not alone. When the storm tries to get a tone from the soul of a Christian, it should be a song of resilient hope, comfort, joy, and love because it is always a duet with Christ. Staff, www.Sermons.com, A Winter Night, from The Deleted World: Poems by Tomas Transtromer, version by Robin Robertson. Tomas Transtromer passed away on March 26, 2015. When faced with new realities, you have at least three options for how to respond (and it is nearly certain that you will opt for one of these three possibilities). First, you can stay bewildered. You can let this event knock you flat on your back and then stay there. Second, you can engage in world-class denial. You can look at the facts and ignore them. Or third, you can, slowly perhaps, assimilate this new information. You may get knocked as flat on your back as the next person by this new realization, but eventually you pick yourself up. You embrace this new truth and then go through the long, sometimes painful, process of re-assessing life in the light of this new evidence. This is the Easter choice. When faced with the incredible proclamation that Jesus rose again from the dead, you can be agnostic and cynical by saying that you don't know what to make of this but then neither are you going to try. Who cares anyway? Or you can deny it. The whole thing is fiction, fantasy, a pious wish but something that never really happened. Or you can move past the shock toward acceptance. But let me caution you: if you are going to accept the truth of the bodily resurrection, you need to let it change you totally. That's the Easter choice. The problem for most of us is that we are not surprised enough by Easter to realize we face a choice. Easter is a part of the background scenery of our lives. We've never been afraid of Easter, never been bewildered by it. Believing that Jesus rose again from the dead becomes a little like believing the earth is round and that it orbits the sun. Once upon a time people didn't know that. They thought the earth was flat and that the sun orbited the earth. It caused quite a stir when this view had to be revised. But that was a long time ago and now we accept that picture of our solar system without much thought. Sure the world is round and we orbit the sun, but what does that have to do with anything? It doesn't change what I have to do at work tomorrow, does it? Is that what Easter becomes for us? We believe it happened but then, we've always believed that. Even Easter has somehow become part of the "routines" of this world. So why would it have much of an effect on what we do tomorrow? Easter is no longer shocking for us -- it surely does not make us re-evaluate everything else we think we know. And anyway, we're not sure we want to have everything in our lives changed. Of course, if we can believe in the resurrection at all, it is a gift of faith granted to us by the prior gift of grace. But if we have received that grace and accept the truth that gets proclaimed from every Christian pulpit in the world each Easter Sunday morning, then we have to know that this truth changes everything. This is not some fact we can ponder just once every twelve months. This changes everything.... and on EVERY day. My mother died three years ago. I had the honor of speaking at her graveside service where we buried her next to my father. While I was standing there, I had a surreal personal experience. Perhaps it happened partly because I was a bit under the weather, perhaps it was seeing so many old friends after three decades, perhaps it was because we were burying my mother and my father side by side. It was as if there was a "wrinkle in time" and the 29 years since my father died had suddenly been swallowed up. They just disappeared for a moment. I was in my early 20s when Dad died; I'm in my early 50s now. Most of the family friends who came to the graveside service had been at my father's funeral 29 years earlier. Most of them were in their early 50s then; most are in their late 70s or early 80s now. It seemed as if the three decades in between had just disappeared. All this passed through my mind in a flash while I was speaking. I could reach out and touch my mother's coffin. I was standing three feet from where we buried my father. It was as if we buried my father last week, we were burying my mother this week, and next week someone would bury me. I had a tremendous sense of my own mortality, of the quickly passing years. It seemed as if the Lord whispered in my ear, "Ray, take a good look. This is where you will be someday." And that day will probably come sooner than I think. Ongoing Easter gets us finally home at last, for life is not an endless circle but life is moving to an end point. The crowning achievement of the risen Lord is to bring us finally home together with the whole family of God in that transition from time into eternity. It is a great privilege to witness that transition in the lives of people and I think of one this Easter day. Her name was Augusta. She lived 100 years, raised in the prairies of South Dakota, faced every manner of hardship and heartache, but was buoyant and lived on the resurrection side of the cross, raised a family. In the last hour of her life standing with her daughters around her in the hospital room, I heard her bless her daughters. Being a mother to the very end and with a twinkle in her eye, looked at the faces of her daughters around her and pointed to them each one and said, "Too much lipstick," and then closed her eyes in peaceful death. That is the goal toward which the ongoing Easter draws us and transforms our dark, gloomy mornings into a shining doxology. 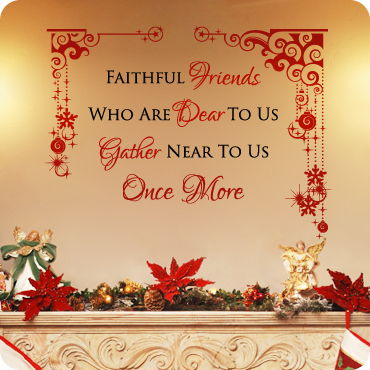 We say with all the faithful of all of the ages, blessed be the God and Father of our Lord Jesus Christ. By His great mercy, we have been born anew to a living hope through the resurrection of Jesus Christ from the dead to an inheritance that is imperishable, unfailing and undefiled, kept in heaven for you. Though you must go through various trials, all this is so that your faith may redound to the praise, glory and honor of Jesus Christ. Without having seen Him, we love Him, and rejoice with unutterable and exalted joy. The outcome of your faith is the salvation of your souls. Recently, Billy Graham responded to someone who shouted out "God is dead! God is dead!" Dr. Graham with tenderness replied, "That's strange because I just talked to Him in prayer a few minutes ago." Yes, the day you believe in the resurrection is the day you change the universe, and most importantly, you can reflect that transforming truth. o you remember the Legend of the Touchstone? It's a great story to recall on Easter Sunday morning. According to that ancient legend, if you could find the touchstone on the coast of the Black Sea and hold it in your hand, everything you touched would turn to gold. You could recognize the touchstone by its warmth. The other stones would feel cold, but when you picked up the touchstone, it would turn warm in your hand. Once a man sold everything he had and went to the coast of the Black Sea in search of the touchstone. He began immediately to walk along the shoreline picking up one stone after another in his diligent and intentional search for the touchstone. He was consumed with this dream. He wanted desperately to find this miraculous stone. However, after several days had passed, he suddenly realized that he was picking up the same stones again and again. So he devised a plan... pick up a stone; if it's cold, throw it into the sea. This he did for weeks and weeks. Then one morning he went out to continue his search for the touchstone. He picked up a stone; it was cold... he threw it into the sea. He picked up another stone - cold! He threw it into the sea. He picked up another stone... it turned warm in his hand, and before he realized what he was doing... he threw it into the sea! That's a good parable for Easter, isn't it? Because that can so easily happen to us. We can come upon a miraculous moment like Easter... we can feel it turn warm in our hands... but then (so dulled by the routine) before we realize what we are doing... we throw it away. Absentmindedly, mechanically, nonchalantly... we toss it aside and miss the miracle of Easter. A first year student in a Catholic seminary was told by the dean that he should plan to preach the sermon in chapel the following day. He had never preached a sermon before, he was nervous and afraid, and he stayed up all night, but in the morning, he didn't have a sermon. He stood in the pulpit, looked out at his classmates and said "Do you know what I am going to say?" All of them shook their heads "no" and he said "Neither do I. The service has ended. Go in peace." The dean was not happy. "I'll give you another chance tomorrow, and you had better have a sermon." Again he stayed up all night; and again he couldn't come up with a sermon. Next morning, he stood in the pulpit and asked "Do you know what I am going to say?" The students all nodded their heads "yes." "Then there is no reason to tell you" he said. "The service has ended. Go in peace." Now the dean was angry. "I'll give you one more chance; if you don't have a sermon tomorrow, you will be asked to leave the seminary." Again, no sermon came. He stood in the pulpit the next day and asked "Do you know what I am going to say?" Half of the students nodded "yes" and the other half shook their heads "no." The student preacher then announced "Those who know, tell those who don't know. The service has ended. Go in peace." The seminary dean walked over to the student, put his arm over the student's shoulders, and said "Those who know, tell those who don't know. Today, the gospel has been proclaimed!" Steven Molin, Four Truths and a Lie. Anecdote 1: Incredible, not impossible: Those who visit Seattle, Washington never miss Ye Olde Curiosity Shop. They have many oddities there. Would you believe that they actually have a pin with the Lord’s Prayer carved on the head of that pin? It is incredible, not impossible, just incredible. They have a piece of hair with the name “Ripley” written on it. The Guinness Book of World Records mentions a little four-year old boy in Korea who spoke four languages: Korean, Japanese, Chinese, and English. There are many things that seem to be impossible but they are only incredible. Did you know that Mrs. Vasalay in Russia gave birth to 69 children? That’s incredible! Did you know that there was a healthy baby born in Turkey that weighed 24 pounds? That is painfully incredible! Did you know that there was man who grew a mustache that was a 102 inches long? That is incredible! One gymnast from the Cirque De Sole climbed up a rope sideways with his arms and his body perfectly perpendicular 90 degrees to that rope. There was a woman juggler with hands so fast you couldn’t even see the speed of the nine balls or knives. There are many things in life that are absolutely and wonderfully incredible, but they are not impossible. It was Jesus who said: “With God, all things are possible!” The women came to the tomb and noticed that the big stone had been rolled away. They wondered what had happened. They looked inside, and incredibly, a young man was sitting there and he was dressed in white. He said to them, “Jesus is not here. He has been raised from the dead by the Power of God.” “Incredible, absolutely incredible!” they thought. Today we celebrate this incredible fact of Jesus’ bodily resurrection from the dead. Anecdote 2: El Dorado: The Spanish conquistadors were exotic explorers of the 1500s. These Spanish sailors were brave, daring men of adventure, searching for gold and silver, jasper and emeralds, braving the insecurities of their little bobbing boats in the seismic swells of ocean waves, not knowing what was out there before them in the uncharted seas of a strange new world. These Spanish conquistadors were adventurous people like Hernando de Soto, Francisco Coronado, and Ponce de Leon. It was in 1513 that Ponce de Leon began his search for the legendary El Dorado, a land where gold nuggets were as plentiful as the pebbles found on ocean beaches. Near that legendary El Dorado was the one thing that everybody was looking for. It was more valuable than gold and silver, more valuable than precious jewels. All of his life, Ponce de Leon and everybody else had wanted to find it. He was looking for the legendary “fountain of youth.” He had sailed half way across the world, wanting to taste the waters from that fountain of immortality. He wanted to drink from those waters and be eternally young, eternally vibrant, and eternally energetic. He wanted to drink from those waters of eternal youth and never grow old and die. He searched and searched and, like every person who wanted to find the legendary El Dorado on this side of the grave, he did not find it. But the Risen Jesus is our guarantee that we will have a real fountain of youth when we begin our life after death with him sharing in his heavenly glory. Anecdote 3: The phoenix bird: The late Catholic Archbishop of Hartford, John Whealon, who had undergone cancer surgery resulting in a permanent colostomy, wrote these very personal words in one of his last Easter messages: "I am now a member of an association of people who have been wounded by cancer. That association has as its symbol the phoenix bird of Egyptian mythology. When the bird felt its death was near, every 500 to 1,461 years, it would fly off to Phoenicia, build a nest of aromatic wood and set itself on fire. When the bird was consumed by the flames, a new phoenix sprang forth from the ashes. Thus the phoenix bird symbolizes immortality, resurrection, and life after death. It was one of the earliest symbols of the risen Christ. In the same way, any person who has survived a struggle with cancer is considered phoenix-like, having risen from the ashes of disease and been given a new lease on life. Suddenly life becomes more precious to that person. Each hour is lived more fully. Each friend seems much more real. The sky seems more blue, the sunshine more beautiful, and the colors more vivid. Even dull and ordinary things are causes for gratitude to God.” Archbishop John Whealon could have lived in a gloomy tomb of self-pity, hopeless defeat, and chronic sadness, but his faith in the resurrected Lord opened his eyes to new visions of life. Significance of Easter: Easter is the greatest and the most important feast in the Church. "Easter" literally means "the feast of fresh flowers." We celebrate it with pride and jubilation for three reasons. 1. The resurrection of Christ is the basis of our Christian faith. It is the greatest of the miracles--it proves that Jesus is God. That is why St. Paul writes:” If Christ has not been raised, then our preaching is in vain; and your faith is in vain… And if Christ has not been raised, then your faith is a delusion and you are still lost in your sins… But in fact, Christ has been raised from the dead, the first fruits of those who have fallen asleep” (I Cor 15/14, 17, 20). Without the Resurrection, Jesus would have remained for ever a good person who met a tragic end. People would remember some of his teachings and a handful of people might try to live according to them. All the basic doctrines of Christianity are founded on the truth of the Resurrection. “Jesus is Lord, he is risen” (Rom.10: 9) was the central theme of the kerygma (or 'preaching') of the apostles. There is a story of two women who stood before Notre Dame Cathedral in Paris. One asked, "Why can't we build structures like this anymore?" Her friend answered, "The people who built this had faith. Today we have only opinions. And you can't build a cathedral with opinions." 2. Easter is the guarantee of our own resurrection. Jesus assured Martha at the tomb of Lazarus: “I am the resurrection and the life; whoever believes in me will live even though he dies” (Jn 11/25-26). Christ will raise us up on the last day, but it is also true, in a sense, that we have already risen with Christ. By virtue of the Holy Spirit, Christian life is already a participation in the death and Resurrection of Christ (Catechism of the Catholic Church, #1002, #1003). The resurrection of Jesus had certain special features. First, Jesus prophesied it as a sign of his divinity. “Tear down this temple and in three days I will build it again” (Jn. 2: 19). Second, the founder of no other religion has an empty tomb as Jesus has. We see the fulfillment of Christ's promise in the empty cross and in the empty tomb. The angel said to the women at Jesus’ tomb: “Why are you looking among the dead for one who is alive? He is not here: he has been raised” (Luke 24: 5-6). The third special feature is the initial disbelief of Jesus’ own disciples in his resurrection in spite of his repeated apparitions. This serves as a strong proof of his resurrection. It explains why the apostles started preaching the resurrected Christ only after receiving the anointing of the Holy Spirit on the day of the Pentecost. 1. We are to be a resurrection people: Easter, the feast of the resurrection, gives us the joyful message that we are a ‘resurrection people.' This means that we are not supposed to lie buried in the tomb of our sins, evil habits and dangerous addictions. It gives us the good news that no tomb can hold us down anymore - neither the tomb of despair, discouragement, doubt nor death. Instead, we are expected to live a joyful and peaceful life, constantly experiencing the real presence of the resurrected Lord in all the events of our lives. “This is the day the Lord has made; let us rejoice and be glad” (Psalm 118:24). 2. Source of lasting peace and celestial joy: The living presence of the resurrected Lord gives us lasting peace and celestial joy amid the boredom, suffering, pain and tensions of our day-to-day life. “Peace be with you” was his salutation to his disciples on all post-resurrection appearances. 3. Be transparent Christians: We are called to be transparent Christians, showing others through our lives of love, mercy and compassion and through our spirit of self-sacrificing service that the risen Jesus is living in our hearts and is an integral part of our lives. 4. Inspiration for self-control and selfless service: The awareness of the all-pervading presence of the risen Lord in and around us, and the strong conviction of our own resurrection, help us control our thoughts, desires, words and behaviour. This salutary thought inspires us to honour our bodies, keeping them holy, pure and free from evil habits and addictions. Our conviction about the presence of the risen Lord in our neighbours, and in all those with whom we come into contact, should encourage us to respect them, and to render them loving, humble and selfless service. 5. Easter gives us the assurance that Good Friday is not the end: Easter reminds us that every Good Friday in our lives will have an Easter Sunday, and that Jesus will let us share the power of his resurrection. Each time we display our love of others, we share in the resurrection. Each time we face a betrayal of trust, we share in the resurrection of Jesus. Each time we fail in our attempts to ward off temptations – but keep on trying to overcome them – we share in the resurrection. Each time we continue to hope – even when our hope seems unanswered – we share in the power of Jesus’ resurrection. In short, the message of Easter is that nothing can destroy us – pain, sin, rejection, death – because Christ has conquered all these, and we too can conquer them if we put our faith in Him. 6. Be bearers of the good news of resurrection power. Resurrection is good news, but at the same time, it’s sometimes painful because it involves death. Before the power of the resurrection can take hold in our own lives, we’re called to die to sin, to die to self. We may even have to die to our own dreams, so that God can do what He wants to do with our lives. Resurrection is about seeing our world in a new way. Early that Easter morning, Mary did not find what she was looking for, the dead body of Jesus. But she found something better than she could have imagined: the risen Jesus. Sometimes, the things we think we want most are not granted to us. What we get instead is an experience of God’s new ways of working in the world. That’s the power of the resurrection. When those moments come, we must spread the news--just as Mary did: We have seen the Lord! 1 . See what happens: One lady wrote in to a question and answer forum. "Dear Sirs, Our preacher said on Easter, that Jesus just swooned on the cross and that the disciples nursed Him back to health. What do you think? Sincerely, Bewildered. 2 . Rented for a week end: Joseph of Arimathea was a very wealthy Pharisee, a member of the council, and a secret follower of Jesus. It was Joseph who went to Pilate and asked for Jesus’ body after the crucifixion. And it was Joseph who supplied the tomb for Jesus’ burial. I wonder if someone pulled him aside and said, "Joseph that was such beautiful, costly, hand-hewn tomb. Why on earth did you give it to someone to be buried in?" "Why not?" Joseph might have answered. “He only needed it for the weekend." You probably do not remember the name Nikolai Ivanovich Bukharin. Many years ago he was one of the most powerful men on earth. A Russian Communist leader, he took part in the Bolshevik Revolution of 1917. He was the editor of the Soviet newspaper Pravda, and was a full member of the Politburo. His works on economics and political science are still read today. There is a story told about a journey he took from Moscow to Kiev in 1930 to address a huge assembly of Communists. The subject was atheism. Addressing the crowd, he attacked Christianity, hurling insults and arguments against it. When he had finished, he looked out at the audience. "Are there any questions?" he demanded. Deafening silence filled the auditorium, but then one man approached the platform and mounted the lectern. After surveying the crowd, he shouted the ancient greeting of the Russian Orthodox Church: "CHRIST IS RISEN!" The crowd stood up and shouted in a thundering voice: "HE IS RISEN INDEED!" Amazed and dejected, Bukharin left the stage in silence. Perhaps he had learned the lesson that faith in Christ’s resurrection was deeply rooted in his Russian Orthodox communist followers! The late Catholic Archbishop of Hartford, John Whealon, who had undergone cancer surgery resulting in a permanent colostomy, wrote these very personal words in one of his last Easter messages: "I am now a member of an association of people who have been wounded by cancer. That association has as its symbol the phoenix, a bird of Egyptian mythology. When the bird felt its death was near, every 500 to 1,461 years, it would fly off to Phoenicia, build a nest of aromatic wood and set itself on fire. When the bird was consumed by the flames, a new phoenix sprang forth from the ashes. Thus, the phoenix symbolizes immortality, resurrection, and life after death. It was one of the earliest symbols of the risen Christ. In the same way, any person who has survived a struggle with cancer is considered phoenix-like, having risen from the ashes of disease and been given a new lease on life. Suddenly life becomes more precious to that person. Each hour is lived more fully. Each friend seems much more real. The sky seems more blue, the sunshine more beautiful, and the colors more vivid. Even dull and ordinary things are causes for gratitude to God.” Archbishop John Whealon could have lived in a gloomy tomb of self-pity, hopeless defeat, and chronic sadness, but his faith in the resurrected Lord opened his eyes to new visions of life. A Sunday school teacher had just finished telling her third graders about how Jesus was crucified and placed in a tomb with a great stone sealing the opening. Then, wanting to share the excitement of the resurrection, she asked: "And what do you think were Jesus’ first words when He came bursting out of that tomb alive?" A hand shot up into the air from the rear of the classroom. Attached to it was the arm of a little girl. Leaping out of her chair she shouted out excitedly "I know, I know!" "Good" said the teacher, "Tell us, what were Jesus first words?" And extending her arms high into the air she said: "TA-DA!" George went on a vacation to the Middle East with most of his family including his mother-in-law. During their vacation and while they were visiting Jerusalem, George's mother-in-law died. With the death certificate in hand, George went to the American Consulate to make arrangements to send the body back to the States for proper burial. The Consul, after hearing of the death of the mother-in-law, told George that the sending of a body back to the States for burial is very, very expensive. It could cost as much as $5,000. The Consul continued, “In most cases the person responsible for the remains normally decides to bury the body here. This would only cost $150.” George thought for some time and answered, "I don't care how much it will cost to send the body back; that's what I want to do." The Consul, after hearing this, said, "You must have loved your mother-in-law very much, considering the difference in price." "No, it's not that!" said George. "You see, I know of a case many years ago of a person, by name Jesus, who was buried here in Jerusalem. On the third day he arose from the dead. I just can't take that chance." One lady wrote in to a question and answer forum. "Dear Sirs, Our preacher said on Easter, that Jesus just swooned on the cross and that the disciples nursed Him back to health. What do you think? Sincerely, Bewildered. 3) Rented for a week end: Joseph of Arimathea was a very wealthy Pharisee, a member of the council, and a secret follower of Jesus. It was Joseph who went to Pilate and asked for Jesus’ body after the crucifixion. And it was Joseph who supplied the tomb for Jesus’ burial. I wonder if someone pulled him aside and said, "Joseph that was such beautiful, costly, hand-hewn tomb. Why on earth did you give it to someone to be buried in?" "Why not?" Joseph may have answered. He only needed it for the weekend." 5) The killers asked her if there was anyone [in the classroom] who had faith in Christ. A day after the terrible tragedy at Columbine High, CNN journalist Larry King did a live interview with a teenage girl named Mickie Cain, a student who had witnessed the massacre. Mickie was having a difficult time maintaining her composure and was able to blurt out only a few words before lapsing into uncontrollable sobs. Larry King was patient and gave her plenty of time to regain her composure. Mickie recounted the chilling story: “Let me tell you about my friend Cassie,” she said. “[Cassie] was amazing . . . She completely stood up for God when the killers asked her if there was anyone [in the classroom] who had faith in Christ. She spoke up [and said she did] and they shot her for it.” [Franklin Graham, The Name (Nashville, TN: Thomas Nelson, Inc., 2002), pp. 14-15]. Such a testimony as Cassie made that day makes our witness look pretty pathetic, doesn’t it? The critical question is, would you make such a sacrifice for something that you knew was patently untrue? Of course not. And neither would those early disciples of Christ. They had met Christ, Risen from the grave, and they would not testify otherwise, even while being tortured. The witnesses are so credible, the change in their lives so dramatic, that their testimony cannot be disregarded. 6) Cape of Good Hope: You may remember a geography lesson from elementary school in which you learned that the southernmost point of Africa is a point which for centuries has experienced tremendous storms. For many years no one knew what lay beyond that cape, for no ship attempting to round that point had ever returned to tell the tale. Among the ancients it was known as the "Cape of Storms," and for good reason. But then a Portuguese explorer in the sixteenth century, Vasco De Gama, successfully sailed East around that very point and found beyond the wild raging storms, a great calm sea, and beyond that, the shores of India. The name of that cape was changed from the Cape of Storms to the Cape of Good Hope. Until Jesus Christ rose from the dead, death had been the "cape of storms" on which all hopes of life beyond had been wrecked. No one knew what lay beyond that point until, on Easter morning, Jesus arose. The ancient visions of Isaiah became the victory of Jesus over our last great enemy. Like those sixteenth century explorers, we can see beyond human death to the hope of Heaven and eternal life with the Father. More than that, we dare to believe that we shall experience in our own human lives exactly what the Son of God experienced in His, for the Risen Christ says to us, "Because I live, you shall live also." This is the heart of our Faith. 8) He always whistled: Have you heard the story of the man whose hobby was growing roses? When he worked in his rose garden, he always whistled. It seemed to everyone that he was whistling much louder than was needed for his own enjoyment. One day a neighbor asked him why it was that he always whistled so loudly. The man then took the neighbor into his home to meet his wife. The woman was not only an invalid but was completely blind as well. The man, you see, was whistling, not for his benefit, but rather for the benefit of his wife. He wanted his blind wife to know that he was nearby, and that she was not alone. That story is a wonderful illustration of the significance of Easter Day. The affirmation, "Christ is risen!" reminds us that God is near, and the experiencing of His presence strengthens us in our weakness. (Living the Easter Faith, Donald William Dotterer). 9) And so the Iron Lady wept. In 1984, when Margaret Thatcher was Prime Minister of Britain, a terrorist's bomb exploded in the conference room where many of the government meetings were held. Margaret Thatcher survived this blast, but some of her cabinet members were killed. The following Sunday, Margaret Thatcher went to church as she always did. But that particular Sunday seemed different. As Margaret Thatcher sang the hymns, listened to the message, saw the candles upon the altar and the sunshine streaming through the stained-glass windows, she began to weep. She wept because everything around her had been changed by the loss of her friends. The familiar had now become strange. The goodness and beauty of the world around her seemed almost too much to bear. She knew she would not only miss her friends, but also the wonderful times they had had together. And so the Iron Lady wept. If we can relate to Maggie Thatcher's grief, maybe we can relate to the grief of Jesus' disciples and friends on that first Easter morning. 10) “I want to see your Resurrection!” Father Basil Pennington, a Catholic monk, tells of an encounter he once had with a teacher of Zen. Pennington was at a retreat. As part of the retreat, each person met privately with this Zen teacher. Pennington says that at his meeting the Zen teacher sat there before him smiling from ear to ear and rocking gleefully back and forth. Finally, the teacher said: “I like Christianity. But I would not like Christianity without the Resurrection. I want to see your Resurrection!” Pennington notes that, “With his directness, the teacher was saying what everyone else implicitly says to Christians: You are a Christian. You are risen with Christ. Show me (what this means for you in your life) and I will believe.” (http://www.stjohnslaverne.org/SermonReadingArchive/OmernickEasterSundaySermon20 06.rtf.) Marilyn Omernick.] That is how people know if the Resurrection is true or not. Does it affect how we live? 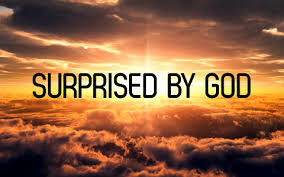 13) Easter: surprising or amazing? There is an old story about Noah Webster, who wrote the famous dictionary that bears his name. As you can imagine, he was a stickler for the precise use of language. He was also something of a womanizer. One day he was in the pantry kissing the maid when Mrs. Webster walked in on them. Mrs. Webster said, "Why, Noah, I'm surprised." Noah said, "No, my dear. We're surprised. You're amazed." (Mark Trotter, "Do You Amaze Anybody? ", May 22, 1988). I think the story is apocryphal. I'm sure Mr. Webster was a stickler for the right word, but when you look in his own Webster's Dictionary he says surprise is a synonym for amaze. Amaze is the stronger word. Easter is both surprising and amazing. Here is God's ultimate act of love and power. It is an act of love that has gone to its limit in Jesus' gift of Himself on the cross. It is an act of power that burst the tomb, and announced to the world that Love is stronger than hate, Good prevails over evil, and Life is triumphant over death. 14)“Suppose he isn't in there!" Two famous Broadway producers were pallbearers at the funeral of the great escape artist, Harry Houdini. As they lifted the beautiful and heavy casket to their shoulders, one of them turned and whispered to the other, "Suppose he isn't in there!" He was, of course. Only one man in human history has conquered the grave, and it is He Whom we call Lord. "Christ has been raised from the dead," writes St. Paul, "the first fruits of those who have fallen asleep" (I Corinthians 15:20). What deliriously good news that is! No wonder our Church is full on Easter Sunday! That is news that turns the world upside down. Jesus Christ is risen! 17) Joke Saturday: According to an ancient Russian Orthodox tradition, the day before Easter was devoted to telling jokes. Priests would join the people in telling their best jokes to one another (presumably “clean” jokes!!) The reason was to reflect the joke God pulled on the devil in the Resurrection. Satan thought he won on Friday, but God had the last laugh on Easter Sunday. 18) He is no longer in the grave: In 1887, twenty-two years after the assassination of President Abraham Lincoln, his coffin was dug up and opened because there were constant rumors that his body was not in the grave. So they dug it up and the body was there. The rumors continued so 14 years later they had to dig it up again. Both times witnesses were present who testified that Lincoln was still in the grave. Three days after the death of Jesus Christ, similar rumors began to spread throughout the land of Israel. Only this time there were no witnesses who could say that they had seen His body. In fact, to the contrary, many witnesses claimed to have seen him out of His grave and even talked with Him after the Resurrection. As great a man as Lincoln was, there were witnesses to prove he was still in the grave. If one of our Presidents or another leader in our government were to cry out today to Lincoln for help, there would be no response. If a scientist were to cry out to Einstein for help today there would only be empty silence. If someone were to call out to Mohammed or Buddha or Gandhi today there would be no help. But if you and I call out to Jesus Christ there is instant power available to us... power to change lives ...why? Because He lives! (Rev. David Henderson). 19) The parable of the butterfly: As a butterfly soared overhead, one caterpillar said to the other, "You'll never get me up in one of those things!" Yet for every caterpillar the time comes when the urge to eat and grow subsides and he instinctively begins to form a chrysalis around himself. The chrysalis hardens and you'd think for all the world that the caterpillar was dead. But one spring morning the life inside the chrysalis will begin to writhe, the top will crack open, and a beautifully-formed butterfly will emerge. For hours it will stand stretching and drying its wings, moving them slowly up and down, up and down. And then, before you know it, the butterfly will glide aloft, effortlessly riding the currents of the air, alighting on flower after gorgeous flower, as if to show off its vivid colors to the bright blossoms. Somehow, the miracle of the butterfly never loses its fascination for us. Perhaps that is because the butterfly is a living parable of the promise of Resurrection. On Easter morning, the disciples saw Jesus' grave-clothes lying on the cold slab -- empty, but still lying in the wrapped folds that had gone round and round the corpse. Only the corpse was gone, leaving the grave-clothes much like an empty chrysalis deserted by a butterfly, which has left to soar free. "He is risen as He said," an angel told the incredulous disciples. 20) “Which one would you ask which way to go?'" Dr. Seamands tells of a Muslim who became a Christian in Africa. "Some of his friends asked him, 'Why have you become a Christian?' He answered, 'Well, it's like this. Suppose you were going down the road and suddenly the road forked in two directions, and you didn't know which way to go, and there at the fork in the road were two men, one dead and one alive--which one would you ask which way to go?'" 21) A real Easter egg: A small chick begins the long journey to birth. The not-yet-a-bird weighs little more than air; its beak and claws are barely pin pricks. The bird-to-be is in its own little world: protected by the rigid shell, warmed by the mother hen’s body, nourished by the nutrients within the egg’s membrane. But then the chick begins the work of life. Over several days the chick keeps picking and picking until it can break out from its narrow world — and into an incomparably wider one. But for this to happen, the egg has to go to pieces. New life demands shattering the old. That is the real Easter egg. Not a complete egg dyed and painted with so many designs and colors. Not an egg that has been hardboiled, impossible to shatter. Not an egg made of chocolate. The real Easter egg is shattered and destroyed. The real Easter egg exists in broken pieces. The real Easter egg is cracked and opened, revealing the new life that has emerged. For centuries, the world has marked the Resurrection of the Lord with eggs. But the Easter meaning of the egg is found in the struggle of the chick to free itself from its confines so as to begin life in a much bigger world beyond it. We struggle to break out of a world that we perceive is going to pieces; we pick away at an existence that leaves us dissatisfied and unfulfilled. The promise of the Easter Christ is that we can break out of our self-contained little worlds and begin to live in a world where peace and justice reign, a world illuminated by hope and warmed by love, a world that extends beyond time and place into the forever of God’s dwelling place. [From a meditation by Brother David Steindl-Rast, O.S.B.]. 22) “Yes, There Is Hope” (Rev. Bill Self): In the early part of World War II, a Navy submarine was stuck on the bottom of the harbor in New York City. It seemed that all was lost. There was no electricity and the oxygen was quickly running out. In one last attempt to rescue the sailors from the steel coffin, the U.S. Navy sent a ship equipped with Navy divers to the spot on the surface, directly above the wounded submarine. A Navy diver went over the side of the ship to the dangerous depths in one last rescue attempt. The trapped sailors heard the metal boots of the diver land on the exterior surface, and they moved to where they thought the rescuer would be. In the darkness they tapped in Morse code, "Is there any hope?" The diver on the outside, recognizing the message, signaled by tapping on the exterior of the sub, "Yes, there is hope." This is the picture of our dilemma as we worship on this glad Easter Day. Humankind is trapped in a dreadful situation. All around we are running low on hope, and we look for a word from beyond offering it to us. This world in which we live is plagued with war and famine, mounting debt and continual destruction. The more we try to rescue ourselves the more we seem to fall behind. We wonder. 22) “Is there hope?” On December 17, 1927, a Navy Submarine, USS S-4, off Provincetown, MA, was accidentally rammed by a US Coast Guard cutter as the sub was surfacing, following a “series submerged runs over a measured mile course to facilitate calibration of her of speed- and distance measuring equipments.” The cutter had tried unsuccessfully to avoid the collision, but tore two holes in the side of the sub, “one four feet long and two feet high in the ruptured ballast tank and the other 2-and-a-half feet long by a foot high in the battery compartment pressure hull.” The sub sank, bow first and settled on her keel in 102 feet on mud. There were heavy seas, gale winds and freezing temperatures. With him was Signalman Joe Dawson who had just completed a temporary assignment on the S-4 (and was replaced there by his best friend, Walter Tolson). Dawson had come from the USS Camden where he had been preparing for his Christmas leave. With the Apostles, we are locked securely in our upper room, trembling in fear of the forces of evil – secularism, materialism, atheism, selfishness -- which assail us and our world. With the submariners we ask, “Is there hope? Please hurry, please. And we are answered. Here He stands, in our midst though the room is still locked. He says, “Peace be with you!” showing us His wounded hands and side, and letting us rejoice that it is truly He, Alive! Then He says to us again, “Peace be with you! 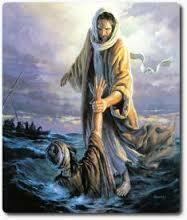 As the Father has sent Me, so I send you.” Then we understand that He is our hope, now and forever. Alleluia! HE IS RISEN! A story is told of an Eastern village that, through the centuries, was known for its exquisite pottery. Especially striking were its urns; high as tables, wide as chairs, they were admired around the globe for their strong form and delicate beauty. Legend has it that when each urn was apparently finished, there was one final step. The artist broke it – and then put it back together with gold filigree. An ordinary urn was then transformed into a priceless work of art. What seemed finished wasn't, until it was broken. In the same way, Jesus allowed his body to be broken for us and thus attained the glory of his resurrections. Steve Goodier (Fr. Botelho). 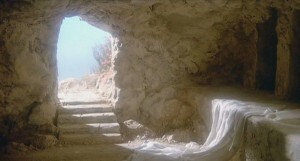 24) Empty Tomb: Easter celebrations lead us to an empty tomb! The coffin of President Abraham Lincoln has been opened twice since his death. The first time it was opened in 1887, twenty years after his death. Why was it opened? Because of the rumour that the coffin did not contain Lincoln’s body. It was opened and the body in it was proven to be Lincoln’s. Fourteen years later, the same rumors circulated again. Again the coffin was opened and again the body was proved to be Abraham Lincoln’s. Similar rumors circulated about the body of Jesus after his death. The only difference was that Jesus’ body was not in the tomb. Now the rumors concerned about what happened to Jesus’ body. Today’s gospel does not present us with the risen Christ. Instead it presents us with the empty tomb! The angel asks: “Why are you looking for the living among the dead?” Unfortunately, we humans are still looking for the living among the dead. (John Pichappilly in The Table of the Word; quoted by Fr. Botelho). 25) Lord of Life: Dr. Jayant Patel, an Indo-American was dubbed ‘doctor of death’ because he faced charges of manslaughter in over 800 cases in the USA and Australia. Dr. Patel allegedly lied about his medical qualifications and performed operations causing innumerable deaths. Similarly, Dr. Amit Kumar performed illegal kidney operations on about 500 poor unsuspecting victims and sold their kidneys to rich recipients from the West. History abounds with such ‘doctors of death’ besides leaders like Hitler and the so-called ‘butcher of the Balkans’ Slobodan Milosevic. Besides these killers, we too consciously or unconsciously – promote death rather than life. Conversely, Easter exhorts everyone to celebrate the Lord of Life and defy death. (Francis Gonsalves in Sunday Seeds for Daily Deeds; quoted by Fr. Botelho). 8. Homilists are reluctant to cope with the implications of Easter and substitute high flown and empty rhetoric. Or perhaps they are unwilling to deal with the hints of resurrection which are part of daily life, promises and foretastes of the ultimate resurrection. Easter did not happen just once in the past. It happens every day. Easter is not merely a harbinger of ultimate resurrection when life triumphs completely over death. It happens every day. Each of its experiences death and rebirth often. Today is the festival when all those “little” resurrections are brought together and integrated with the overarching resurrections, once and future, which are at the core of our faith..
Once upon a time there was a terrible fight in a certain family. The father and the mother had slipped into the habit of low level nastiness with one another and were drifting apart. The children (teenagers) were routinely snarling at one another and at their parents. Sometimes they joined in the mean-spirited exchanges between the parents. No one left the house, there was no divorce nor even the talk of divorce -–but there were lots of thoughts about it. What was once a happy and loving family, as families go, had turned into a battleground in which four armies were fighting, and not taking any prisoners. But, you will say to me, how do you know that the resurrection is real? How do you know that it is really valid? Happy Easter, Church. Christ Is Risen. He Is Risen Indeed. The resurrection of Jesus is God's final word spoken in the face of sin, suffering, evil and death. Thanks Be to God. Easter egg hunts have been in the news all week, both because of the controversy in the White House over the invitations that went out warning that the one on the White House lawn might need to be cancelled, as well as the refusal of some school districts to refer to "Easter eggs," only "Spring eggs." Come on. Easter egg hunts? They are part of our most beloved childhood memories, even though they have very little to do with the real Easter. Or do they? Coloring eggs; that sweet smell of vinegar; getting those same six colors all over fingers, clothes, and countertops year after year. Then getting up early enough to compete against brothers and sisters to find the most baskets of eggs and goodies. As parents we have different memories of the same event. Easter egg hunts mean bleaching out those Easter egg-colored clothes and counter tops; getting up even earlier than the kids; making lots of egg salad sandwiches (with strange colors staining the bread); and finding Easter grass still lurking in corners of the house on the Fourth of July. But while some of the traditions behind Easter egg hunts have remained the same, there has been one big change that has transformed large community-wide egg hunts, Sunday school class quests, and our own living room look-fors. Let's get real: we might still color and decorate real eggs. But how many of those actual hard-boiled eggs get taken out of the fridge and hidden in nooks and crannies anymore? Real eggs have been replaced with plastic eggs. The realities of lurking bacteria and potential lawsuits have banished actual eggs from almost every "egg hunt." Instead, plastic eggs filled with store-bought candies have, for the sake of sanity and sanitation, replaced the hand-colored hard-boiled real egg. Earlier this week, an old couple received a phone call from their son who lives far away. The son said he was sorry, but he wouldn't be able to come for a visit over the holidays after all. "The grandkids say hello." They assured him that they understood, but when they hung up the phone they didn't dare look at each other. Earlier this week, a woman was called into her supervisor's office to hear that times are hard for the company and they had to let her go. "So sorry." She cleaned out her desk, packed away her hopes for getting ahead, and wondered what she would tell her kids. Earlier this week, someone received terrible news from a physician. Someone else heard the words, "I don't love you any more." Earlier this week, someone's hope was crucified. And the darkness is overwhelming. No one is ever ready to encounter Easter until he or she has spent time in the dark place where hope cannot be seen. Easter is the last thing we are expecting. And that is why it terrifies us. This day is not about bunnies, springtime and girls in cute new dresses. It's about more hope than we can handle. In the early part of World War II, a Navy submarine was stuck on the bottom of the harbor in New York City. It seemed that all was lost. There was no electricity and the oxygen was quickly running out. In one last attempt to rescue the sailors from the steel coffin, the U.S. Navy sent a ship equipped with Navy divers to the spot on the surface, directly above the wounded submarine. A Navy diver went over the side of the ship to the dangerous depths in one last rescue attempt. The trapped sailors heard the metal boots of the diver land on the exterior surface, and they moved to where they thought the rescuer would be. In the darkness they tapped in Morse code, "Is there any hope?" The diver on the outside, recognizing the message, signaled by tapping on the exterior of the sub, "Yes, there is hope." This is the picture of our dilemma as we worship this glad Easter Day. Humankind is trapped in a dreadful situation. All around we are running low on hope, and we look for a word from beyond offering it to us. This world in which we live is plagued with war and famine, mounting debt and continual destruction. The more we try to rescue ourselves the more we seem to fall behind. We wonder: Is there any hope? Bill Self, Is There Any Hope? 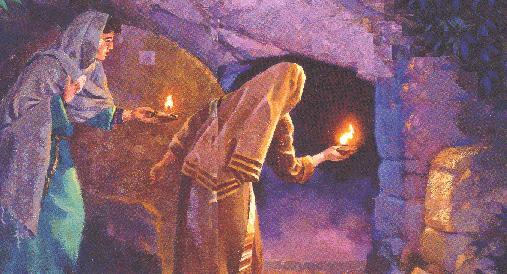 Mary Magdalene came to the tomb while it was still dark. But the darkness was soon overcome with light. Maybe that's the message you need to hear this day. Perhaps for whatever reason you are in darkness right now. Family concerns. Problems at work. Anxiety about your health and your future. The loss of someone you love. Easter promises us more than the stars in our darkness. Easter promises us that in the midst of our deepest darkness the Son rises to overwhelm the darkness forever. Victor Hugo once put it like this, "For half a century I have been writing my thoughts in prose and verse and history and philosophy . . . But I feel I have not said the thousandth part of what is in me. When I go down to the grave I can say, I have finished my day's work,' but I cannot say, I have finished my life.' My day's work will begin again the next morning. The tomb is not a blind alley; it is a thoroughfare. It closes on the twilight; it opens on the dawn." Mary Magdalene came to the tomb while it was still dark "but the darkness did not remain. The dawn broke. God's Son had risen. Is that what Easter becomes for us? We believe it happened but then, we've always believed that. Even Easter has somehow become part of the "routines" of this world. So why would it have much of an effect on what we do tomorrow? Easter is no longer shocking for us--it surely does not make us re-evaluate everything else we think we know. And anyway, we're not sure we want to have everything in our lives changed. Until Jesus Christ rose from the dead, death had been the cape of storms on which all hopes of life beyond had been wrecked. No one knew what lay beyond that point until, on Easter morning, those ancient visions of Isaiah became the victory of Jesus over our last great enemy. Suddenly, like those ancient explorers, we can see beyond the storm to the hope of heaven and eternal life with the Father. More than that, we dare to believe that we shall experience in our own human lives exactly what the Son of God experienced in his, for the risen Christ says to us, "Because I live, you shall live also." This is the heart of the Easter faith. Billy Graham responded to someone who shouted out "God is dead! God is dead!" Dr. Graham with tenderness replied, "That's strange because I just talked to Him in prayer a few minutes ago." Yes, the day you believe in the resurrection is the day you change the universe, and most importantly, you can reflect that transforming truth. Do you remember the Legend of the Touchstone? It's a great story to recall on Easter Sunday morning. According to that ancient legend, if you could find the touchstone on the coast of the Black Sea and hold it in your hand, everything you touched would turn to gold. You could recognize the touchstone by its warmth. The other stones would feel cold, but when you picked up the touchstone, it would turn warm in your hand.